These are all pictures you have probably seen hundreds of times. But the ones you're familiar with are sliiiiightly different. You see, these are the uncropped versions, which offer some a glimpse into the way just a little editing can completely change the whole story. With out that a little tweaking, these images might never have become the iconic snapshots that they are. 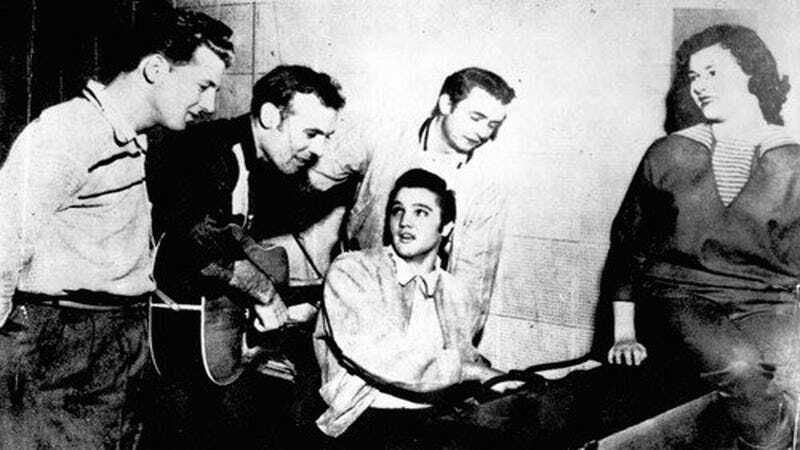 Above you see the famous picture of Elvis Presley, Jerry Lee Lewis, Carl Perkins, and Johnny Cash jamming at sun Studios in Memphis—it wouldn't have been the Million Dollar Quartet had the woman sitting on the King's piano remained in the shot. Then there's Guerrillero Heroico, that famous portrait of Che Guevara you see stamped all over t-shirts and posters now. What you probably didn't know was that the profile of another man was cut out of the left side of the print. The cover of the Beatles' Sgt. Pepper's Lonely Hearts Club Band is much less magical and psychedelic when you see the studio lights and backdrops. And the photo of the Unknown Rebel who stood his ground in front of a column of Chinese tanks near Tienamen Square is much less compelling when the figure is just a blurry, nearly indecipherable dot. Close up, it's moving and emotional.